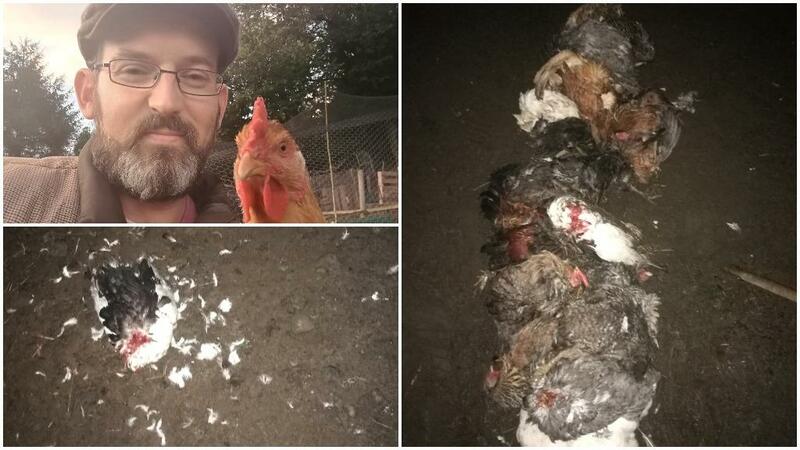 An award-winning poultry keeper has vowed to battle on despite seeing 86% of his chickens killed by a fox. Heartbroken Dave Herbert, 40, from Ynysddu in South Wales, returned home to find 26 off his animals dead, including those housed in a ’secure pen’. Mr Herbert revealed the devastation of the attack on social media - and has been overwhelmed by the support he has received from his followers and others in the industry. He tweeted: "Well that’s it. It could be all over for us. Fox came at sometime midday and killed 86% of the flock. 26 dead including those in a ’secure’ pen. I don’t know what we are going to do. My heart is breaking and I can’t even begin to describe the overwhelming sense of loss and blame that’s crushing me right now. I’m not sure if there’s anyway back for us from this. Of course, The Apprentice doesn’t even know yet. I don't know what we are going to do. My heart is breaking and I can't even begin to describe the overwhelming sense of loss and blame that's crushing me right now. I'm not sure if there's anyway back for us from this. Of course, The Apprentice doesn't even know yet. "The following thread will contain disturbing images and a devastating tale, but I do hope you’ll read on. "I got home at 1630h - there was still a little bit of light and I went straight to the field to see to everyone. "As I approached the gate I saw a chicken down by the post. Then I started to see feathers, loads of feathers, and then, bodies." The remaining ducks quacked and the last turkey gobbled at me and I saw body after body littering the floor. Fox had been in and reaped his bloody scythe through every area. Of the free rangers only 5 have survived albeit traumatised beyond the pale. The majority of Mr Herbert’s award-winning chickens had their heads ripped off by the fox. "All the blue layers have been killed, and every leghorn, Jet included. She was the layer of champion eggs at most of the shows we entered last year. Her line is now extinct," he continued. "Crow will no longer grace our valley. I bagged all the bodies after finding and accounting for each one. How do you dispose of that many dead chickens? They currently fill the space in my Clio where bags of feed should’ve been stacked tomorrow. "My heart is breaking and I can’t even begin to describe the overwhelming sense of loss and blame that’s crushing me right now. I’m not sure if there’s any way back for us from this." The Twitter posts have been shared hundreds of times and messages of support even brought Mr Herbert to tears as the emotion of the situation hit home. He told Farmers Guardian: "I put it out there so people can see the reality of the situation. The support has really come from my fantastic social media followers, folk in the fancy and farmers/smallholders all over the UK & world. 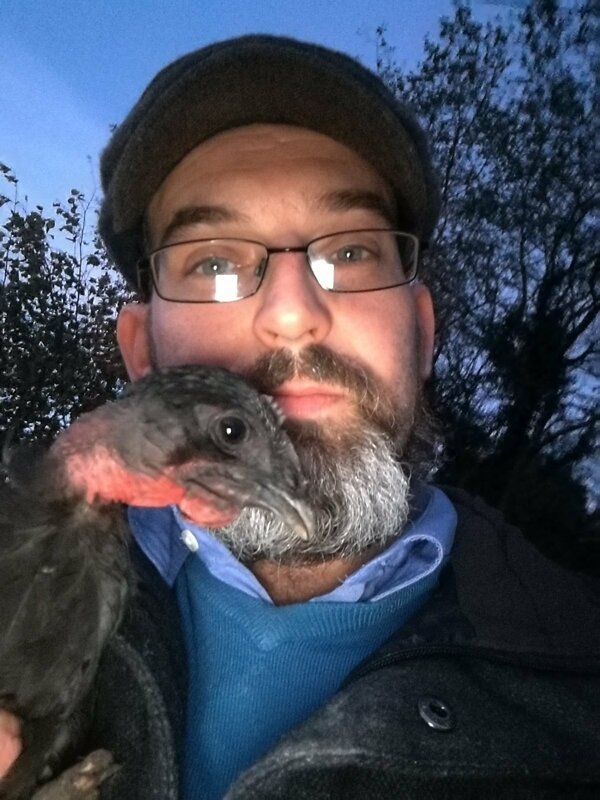 "The farming network on Twitter has really stunned me with the support. I’m determined to build on and repair now. "I love it too much and I didn’t realise how many people care about what we do and seem inspired by our adventures. It will be very hard, and this season is essentially already over but we can and will power through as you say. It’s part of who I am." Thank you so much for all your kind words, thoughts and offers of help. I’m absolutely overwhelmed by your support and kindness. I'm absolutely overwhelmed by your support and kindness.